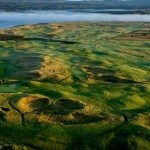 Join us for a 5 night Links Classic in the spectacular North West of Ireland. 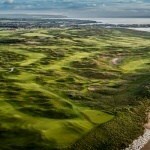 To book or enquire further call us on Ph: +353 (0)91 868642 or Email: ian@northandwestcoastlinks.com . 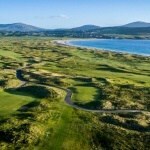 The trip includes 4 rounds of golf at Lough Erne Resort, Donegal Golf Club, Portsalon Golf Club and Ballyliffin Golf Club. Along with accommodation at Harvey’s Point and Ballyliffin Townhouse. Price €1,335 per person sharing. Balance to be paid 45 days prior to itinerary start date. Balance will be refunded for all cancellations made with 30+ days notice. Inside 30 days, refunds will be made at discretion of individual courses/hotels/transport providers. Changes can be made up to the start date. (Subject to availability). Travel insurance is not included; we recommend that you take out your own Travel Insurance. Caddies may be requested at all courses, but are subject to availability, and must be paid for directly at each individual course. Carts are also available at 90% of Irish golf courses, but should be reserved in advance, due to limited quantities at some courses. Medical Certificates may be required – please enquire at time of booking. N&WCL have the facility to charge for your vacation in your local currency, please enquire at time of payment for information on this service. We Accept Visa, MasterCard & Bank Transfers Only.